For Danish cycle fans eagerly anticipating the upcoming 2017 edition of the Tour de France, running from July 1-23, there’s good news … and some bad news. The good news is that Denmark’s best all-rounder, Jakob Fuglsang (which translates as ‘birdsong’), has been handed the co-captain duties by his Kazakh team Astana (along with Fabio Aru) and is currently the fifth-favourite (best price 20/1, as short as 10/1 with some firms) – behind only Chris Froome, Richie Porte, Nairo Quintana and Alberto Contador – to win the gruelling race. Depending on their performances in the first week, Astana will likely pinpoint either Fuglsang or Aru to lead their charge for the duration of the race. 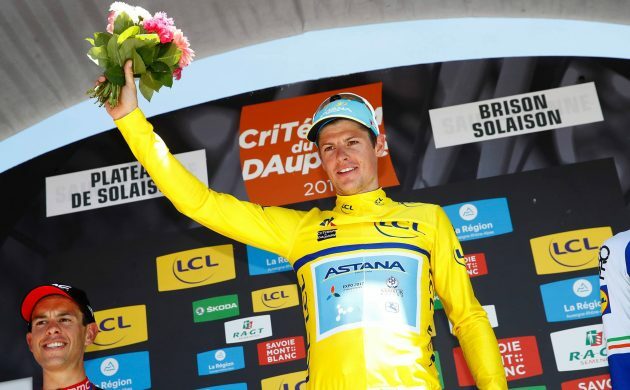 Fuglsang, who long played second fiddle to Vincenzo Nibali, looks to be in scintillating form as of late, winning a prestigious French road race, Critérium du Dauphiné, in early June. His previous best finish in the Tour de France was seventh in 2013 after Nibali dropped out and he became the team’s captain. The bad news is that this year’s edition will be thin on Danish participation with just three riders taking part – a steep decline from the seven who made up the Danish delegation last year. Aside from Fuglsang, young talent Michael Valgren is gearing up for his third Tour de France – also for Astana – while grizzled veteran Lars Ytting Bak is saddling up for his ninth edition of the race, this time for Lotto-Soudal. A number of prominent Danish riders, such as Matti Breschel, Jesper Hansen, and Michael Mørkøv, didn’t make their respective teams’ final race rosters. But there is a silver lining. While young stars Magnus Cort, Christopher Juul-Jensen, Søren Kragh Andersen, Mads Pedersen and Mads Würtz Schmidt didn’t make Le Tour this year, their performances in other races, including the Giro d’Italia, give hope for the future. Expect to see some of them generate a buzz during the Vuelta a España in August. And because the young guns have been given the chance to ride in the other two Grand Tours, it’s a clear signal that their teams not only recognise their talent, but that there is a very good chance that the Danish delegation will be increased in next year’s Tour de France.